Oh friends! I just loved this wedding day! Heather + Bob are just the sweetest and I have always loved Heather’s style + instagram! 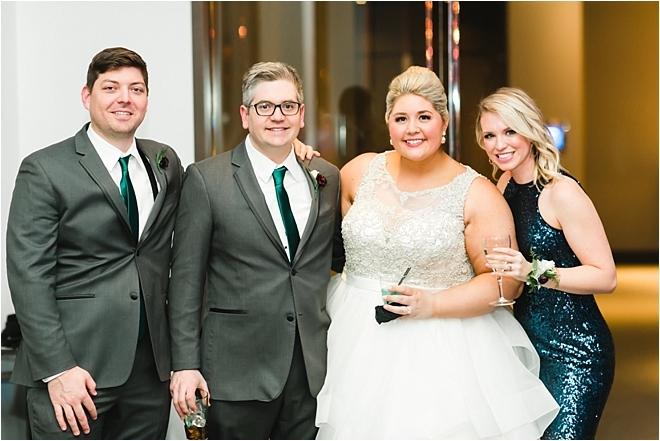 I definitely was not disappointed when I arrived at the Radisson Blu Minneapolis on her wedding day! From her PERFECT hair to her amazing jewelry, each detail was weaved in with so much heart! I was blown away! Stunning colors of gold and hunter green, with wine and red peppered in. It all fit so beautifully! Also, her adorable pup joined us in the morning for some images! So cute! The sparkles were everywhere and I just could not after Heather put her amazing dress on! Her entire look was so captivating! 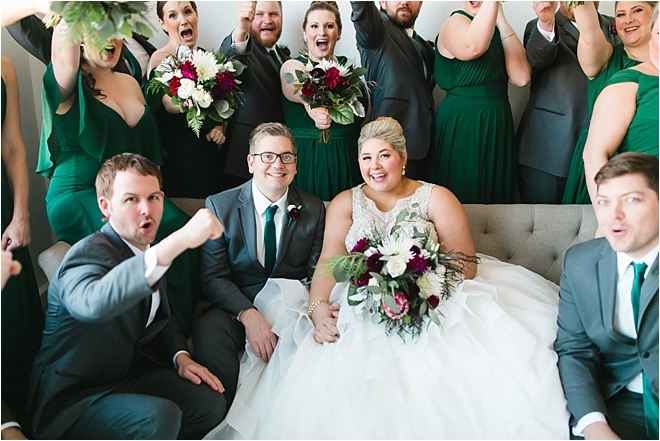 We traveled over to St. Paul for a beautiful traditional Catholic ceremony and we snuck outside despite it being 10 degrees and WINDY to get some amazing shots! I knew these two would be brave as we ventured into the cold for their winter engagement session as well! Then we returned back to the gorgeous Radisson Blu hotel and had cocktail hour on the beautiful long sky bridge overlooking the hotel. Then celebrated the reception in the huge Lakes Ballroom with all of Heather + Bob’s favorite people. It was a crazy delight! I just could not get over how incredibly stunning this couple was all day! Heather + Bob! I know you will continue to light up those around you as you both are full of heart! I’m so excited your married life ahead! Enjoy your blog story sneak! Such a beautiful couple, thank you so much for sharing. it’s very inspiring seeing something like this. Keep up the good work!.